The more you talk to Ram Gopal Varma, the image of a man who is impervious to criticism slowly begins to crumble. By his own admission, he’s tired of answering a series of questions about how he came to terms with the failure of his films at the box office. Now, he has a stock answer which is, arguably his best defence against the question. “When I don’t know why some of my films worked, then how will I know what went wrong with the film that didn't do well? The effort that I put in is the same for all my films,” he admits, adding, “Aag is my biggest flop, but I don’t think I’ve ever worked as hard as I did on that film. Ironically, until the late 2000s, I never had a bound script for any of my films, and the moment I started approaching films with a bound script, they began to flop.” He might have repeated this response in scores of interviews over the years, but his body of work is proof enough that film-making and the results associated with it are unpredictable. 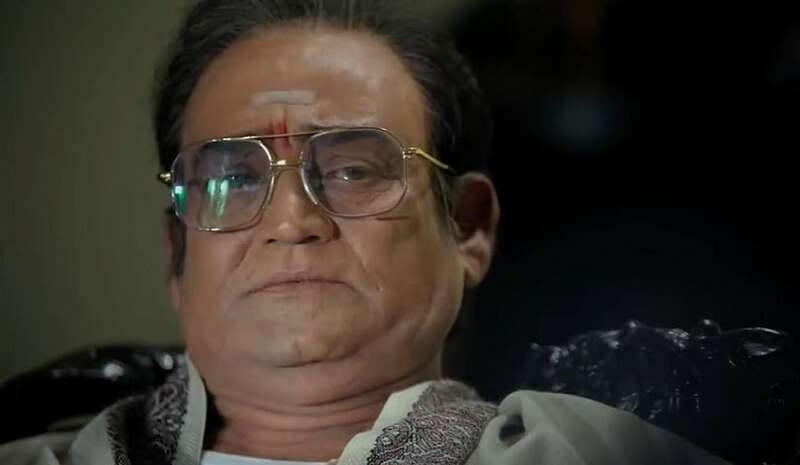 But his latest film, Lakshmi’s NTR, a political drama which explores the relationship between former Andhra Pradesh chief minister NT Rama Rao and his wife Lakshmi Parvathi, has brought him out of the shadows once again in Telugu cinema. His recent film, Nagarjuna’s Officer, was a colossal disaster and people had written him off for the umpteenth time; however, it does seem like the tide has turned in RGV’s favour. Lakshmi’s NTR is an brazen tale of a political conspiracy against NT Rama Rao, and RGV has gone all out to portray Chandrababu Naidu, the current Chief Minister of Andhra Pradesh, as the architect of the conspiracy which led to NTR’s downfall in the mid 1990s. With Andhra Pradesh headed to polls on 11 April, Lakshmi’s NTR turned into an advertisement for the opposition parties in the state to campaign against Chandrababu Naidu. The political environment prevalent in the state, added with the lacklustre performance of the Balakrishna-starrer N.T.R Mahanayakudu, was more than enough to let RGV take control of the narrative and take potshots at key people who were involved in the conspiracy. It’s been more than 23 years since NT Rama Rao passed away; however, the political coup in the Telugu Desam Party (TDP) in 1995 is still fresh in people’s minds. Although a lot has changed since then, RGV reckons that what made Lakshmi’s NTR relevant today is a mixture of the existing political environment in Andhra Pradesh and a collective guilt of staging the coup itself against NTR himself. “But more importantly, it’s the first time that people are seeing a ruling chief minister being portrayed as the main antagonist. That’s what drew everyone’s interest. I truly believe that Chandrababu Naidu was instrumental in staging the coup and whatever I’ve portrayed in the film is my version of the truth. If anyone believes that what’s shown in the film is (not correct, they are) more than welcome to make their version of the events that happened back then,” RGV says. Not surprisingly, the film’s release was mired in controversy. A day before its release, a court issued a stay order on the film’s release in Andhra Pradesh where TDP is contesting in elections, and the Andhra Pradesh High Court upheld the order. However, RGV managed to get the film to release in other territories. Although RGV has now gone to the Supreme Court to get the film to release in the state before 11 April, he avers that it was a gamble he had to take given the cost the film was made in. RGV shared the directing credit with his associate, Agasthya Manju, and he’s candid enough to admit that he didn’t spend as much time on set. “Filmmaking has changed a lot nowadays. Take, a series like Narcos for instance. Each episode will have a different director and you don’t even think about who made it. Only the showrunner’s name is important. I was there to take all the major decisions while making Lakshmi’s NTR, but Agasthya Manju directed it mostly. He’s really talented,” he says. Even before the film hits the screens in Andhra Pradesh, RGV has now set his eyes on Tamil Nadu’s politics and has already announced that he’s going to make a biopic on Sasikala, a close aide of former Tamil Nadu chief minister Jayalalithaa. “It’s the story of the relationship between Jayalalithaa and Sasikala set against merciless men, prisons and Mannargudi gangs. I know there are already several biopics being made on Jayalalithaa, but unlike them, I don’t have to be politically correct. It’s going to be an explosive drama,” RGV adds. Clearly, he isn’t done yet.